When most people think of the music industry, they think of either performing as an artist or working for a record label. Most careers in the music industry, however, likely involve people you have never heard of performing music management jobs you never knew existed. This music management degree program is designed to prepare students for careers in music production and music management while also revealing many other entryways into the music industry. Initially, all music management degree students complete a series of core classes that develop the foundational skills needed for virtually any career in commercial music. These core classes include music production, music theory, publishing, record label operations and new media. Students then select one of two areas of specialization – production or music management. Some students even elect to pursue both certificates. Students then dive in deeper into their chosen path. Few music schools in Ohio offer as many opportunities as the music management degree program at Hocking College. Students get a unique, in-depth experience with this program, preparing them for any and all music management jobs that are out there – and if they’re not, this degree program teaches students the skills to make them exist. Where do Music Management graduates end up working? Graduates of the Music Management program work with all across the United States with recording studios, video game production houses, radio stations, record labels, live music venues, publishing houses, booking agencies and more. No. Although we welcome students at every level of experience, most of our students come to us with no prior experience with our studio equipment, software or the music industry. What software and apps are your students using? Does the Music Management Program work with industry-related conventions, festivals, studios, venues or record labels? Each year our students work with industry leaders participating in events such as SXSW Music Festival in Austin, TX, ASCAP Expo, NAMM, and Nelsonville Music Festival, as well as many national and regional recording studios and music venues. Our students also help coordinate various live music and events, music festivals and community fundraising initiatives. 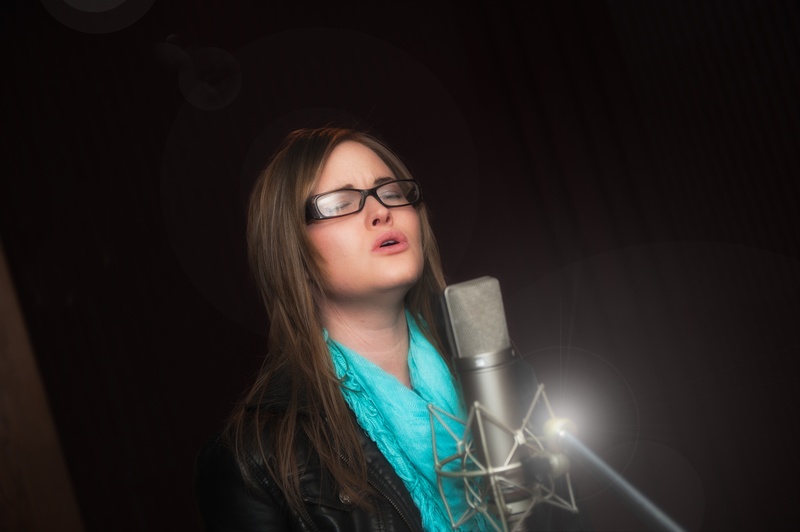 Additionally, nearly every week we host national and regionally touring artists into our on-campus recording studios. What certifications are available to students enrolled in the Music Management Program? Hocking College School of Music currently offers a Live Sound Certification that may be completed within one year. It includes hands-on training with industry-standard analog and digital mixing consoles and peripheral equipment. It includes real-world experience at local, regional and national music venues. Further, the certification includes instruction in equipment maintenance and repair and introduces students to the fundamentals of electronics as it applies to the studio and live sound equipment. The certification also includes an overview of the contracts associated with concert promotion, backline and venue rental and international tour routing. If you already have an intensive musical background you are encouraged to share your experiences with the School of Arts & Sciences. You may receive advanced credit for some courses, based upon experience equated to the college level coursework. Develop and maintain live appearance/performance strategies, associated negotiations, and contracts for a developing artist. Manage artist publishing, licensing, and royalties associated with intellectual property. Market, promote, and merchandise music product through physical and digital channels, utilizing conventional and new media platforms and tools. Organize, budget, buy talent for, and promote live music events at various types of venues. Create a marketable body of work in the form of a professional portfolio. Create pre-production strategies (including microphone selection/placement, and choices regarding sound and talent isolation) in order to lead efficient professional recording sessions. Create organized sessions to capture and edit audio within Digital Audio Workstation (DAW) (Ex. Avid ProTools). Repair, mix, and enhance audio using industry standard hardware and software to create finished commercial quality content. Demonstrate skills needed to reinforce (Front of House & Stage) and mix audio in live sound scenarios. Utilize tools and basic electrical schematic comprehension to diagnose and repair audio equipment. Interested in more information about becoming a music producer? Download our Music Management ebook! Students in this track intensify their experience by learning in a studio environment how to record, mix and produce music from a variety of genres. Hocking College is one of the premier music schools in Ohio, in this regard, with labs located at Washington Hall, including two state-of-the-art multitrack recording studios and several recording and isolation spaces. Additionally, Washington Hall's large Apple Macintosh computer lab is further equipped with recording interfaces at each station and cutting-edge software for recording and sequencing. Students interested in the business of music and entertainment may elect for lab and coursework in this track. Students learn how to manage artists and artists' careers, book and promote concerts, market and merchandise music, operate a record label, understand entertainment law and copyright issues, and engage in entrepreneurship. This track prepares students for a wide variety of music management jobs. Music management degree students are required to take private music instruction. Lessons available include: guitar, piano, voice, bass guitar, brass, strings, keyboard and drum set. Lesson times are arranged with the individual instructor. Additionally, students can also participate in Vocal Ensemble, Percussion Ensemble or the Mixed Ensemble. All students enrolled in the music management degree program further their studies by completing an internship in the music industry and a capstone project with their peers during their final term. Faculty are available to help locate and solidify internships, proofread resumes and counsel students where look for positions. Capstone is a series of cumulative projects synthesizing knowledge acquired at Hocking College. Additionally, Management and Production students are brought together to collaborate on projects, such as recording and releasing a digital EP for a featured artist. Annual trips to large conventions and festivals provide excellent networking and learning opportunities. Past trips have included the South By Southwest Music Festival in Austin, Texas and Potluck Conference in New Orleans, Louisiana (formerly Tape –Op Conference) and a tour of recording studios in Columbus, Ohio. Other trips include the Rock and Roll Hall of Fame in Cleveland, OH and the AES Student Summit in St. Louis, MO. Click here to learn more about music contracts and contract negotiation at Hocking College.